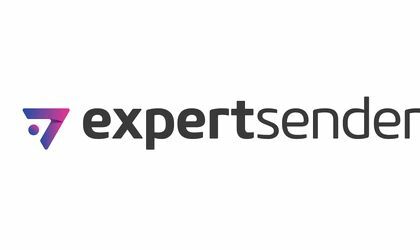 ExpertSender, a global provider of marketing automation services for ecommerce and retail, enters the Romanian market as part of the international expansion strategy. Thus, Romania becomes ExpertSender’s target location for 2019, the company already operating at a global level, with offices in France, Poland, Spain, Brazil, Russia and China. “There is great potential for growth in the ecommerce and retail industries in Romania. Also, the rapid growth pace of these segments were the main reasons for ExpertSender’s expansion in this region. We see that the customers are wide open to access online store offers and we are convinced that our marketing automation solutions, by personalizing messages and contextualizing them across multiple channels, such as email, SMS and web, will help online retailers to increase their conversion rate and, implicitly, their sales”, says Dominik Krzeslak, Senior Business Development manager at ExpertSender. Currently, cart abandon is one of the biggest problems that Romanian online stores are facing, taking into consideration that three-quarters of buyers are not finalizing their orders, intending to go back later to complete the purchase process. In the absence of a simple personalized reminder to customers, most of them will not return to complete the purchase, a situation that translates into significant sales losses for the online retailers. One solution is to send messages containing product recommendations to customers based on their browsing history (contextualized), which can generate up to 35 percent of online store revenue, according to ExpertSender marketing automation experts. In fact, this was also the case for one of Poland’s most important fashion retailers, Venezia.pl, specialized in selling leather products, which has recovered 16 times its investment in marketing. The immediate objectives of ExpertSender on the Romanian market are to create a network of partners by establishing partnerships with agencies (marketing agencies, digital marketing agencies, email boutiques, affiliates, publishers) for implementing ExpertSender solutions and increasing the number of customers. “In Romania, we are already working with the online fashion shop Answear.ro, aiming to expand our network of partners in order to help Romanian eCommerce websites and retailers maximize their revenue potential with customized marketing automation services”, says Dominik Krzeslak, highlighting that the services offered by ExpertSender are aimed primarily at medium and large companies. Currently, ExpertSender’s activity in Romania is coordinated from its headquarters in Poland. ExpertSender is a global provider of marketing automation services for ecommerce and retail. ExpertSender makes it possible to harness the behavioral data of online store customers within the various marketing channels to better meet their preferences and maximize conversions. Every year, the company sends over 15 billion marketing messages for over 1,000 brands around the world. ExpertSender is an active member of several initiatives and organizations that define and promote best practices in email marketing automation: Email Experience Council, Email Sender & Provider Coalition, and Signal Spam. The company is ISO 27001 certified, which implies implementation of security controls for information protection, in line with GDPR requirements. 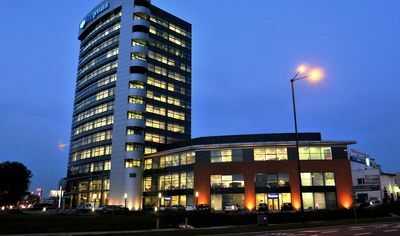 The company was established in Poland in 2010 and is currently operating at a global level, with offices in France, Poland, Spain, Brazil, Russia, and China, and a team of over 100 employees.